I love this woman. LOVE her. 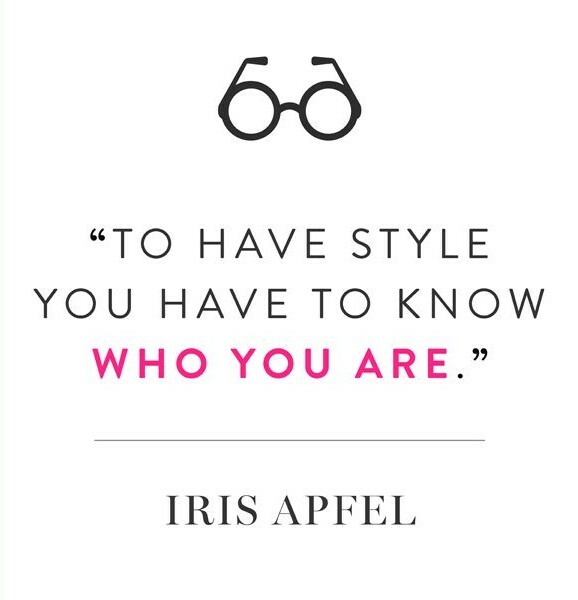 At 92, Iris Apfel is fearless and incomparable, with more moxie than I know how to handle. I adore the fact that she is absolutely, unapologetically, and authentically herself. FACT: In 2005, the Costume Institute at the Metropolitan Museum of Art curated an exhibit …from HER CLOSET. FACT: She has consulted with 9 (yes, nine) presidents for interior design and restoration projects at the White House. Needless to say I got real excited on this dreary Monday morning when I read about One King’s Lane latest sale of goodies – pieces all hand selected and curated by the venerable Ms. Apfel herself. Available through April 15th, this Tastemaker Tag Sale might be One King’s Lane greatest tag sale yet. Hop over for a swoon. Oh, and their interview video below is fantastically lovely as well. Happy Monday! This entry was posted on April 7, 2014 by elisabeth in fashion + designers, inspiring styling and tagged iris apfel, Iris Apfel jewelry, One King's Lane, One King's Lane Tastemaker's Tage Sale.